Are you interested to give digital emotions to your images? If you are, then you should try a GIF. I know that there is an old concept of GIF in your mind that you need to be Photoshop expert for creating a GIF, but nowadays it is not like that. As you know that the internet has developed a lot, and there are a lot of ease which has been created for users. 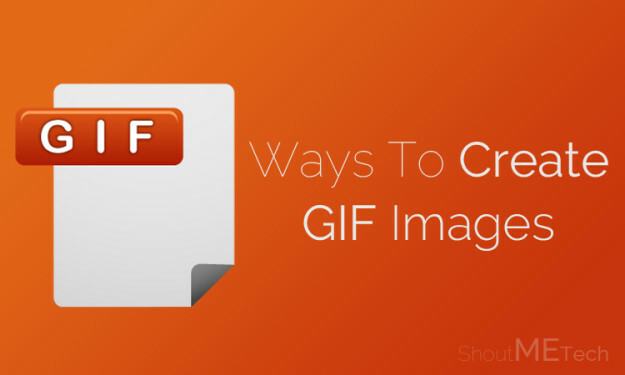 Taking out one of the easiness, I am sharing some of the easiest ways to create GIF images. These ways do not require you to be an expert with images. No matter if you are a newbie, you can still create your GIF. Before moving towards the ways, let me clear that What GIF is? Specially to those who have no idea as they could also avail the awesomeness of this format and get something from this article of mine. Gif is a format of images but with the little touch of awesomeness. It supports both animated and ordinary images. You might have seen different images on different places which look like a small animated clip, those are GIFs. These are amazing, aren’t they? So, here are the simplest ways to create GIF image. You can take any of your images and convert it into a GIF. Now, without taking your time more, I would request you to get towards the below piece of writing. The most awesome and easiest method of creating GIF is using Face to GIF. The Face to GIF is an online tool that creates the GIF of your own images and works along with your web-cam. It means that you need to have a webcam and then it will record certain snaps of your and will convert those images into a GIF and it will take not more than 15 seconds of yours, isn’t it fast? You need to follow these steps to use this tool. Go to Face to GIF using this Link. Click on Put your face here button from top of the window. Then it will ask you to select your Webcam from a pop up box under address bar of your browser and then Click on Share Selected Device. Then you will have video of your, you need to Click on Start Recording to let it start capturing some shots for GIF. Ones you have got enough shots for your GIF, Click on Make GIF and then it will take some seconds of yours to make GIF image of that. Afterwards, you need to move your cursor to your created GIF and Click on Download GIF button. The GIFMaker is another online tool for creating your GIF, but it is different from the above one. It has got a great number of features which makes your GIF look good. Moreover, you don’t need to be an expert in graphics to handle this online tool as the features are quiet simple yet awesome and anyone can understand and manipulate them accordingly. First of all, you need to Capture some of your photos which you want to convert in a GIF. I would recommend you to go for some continuous random clicks, it’ll look more awesome for GIF. After getting the images on your computer, you need to go to GIFMaker using this Link. Now, upload your images which you have captured for using in GIF by clicking on Upload Images button, upload one by one, you may change the order by dragging each image at desired position. You’ll have the live preview of GIF in the left side panel along with some Settings option. You may make changes in your GIF using that setting panel. For example; increase the animation speed, increase the GIF’s size, set repeat times, if you want to give sound or music to your GIF then add the URL of sound or music. Ones you are done with settings, Click on Create GIF Animation. Then it will take some minutes of yours to create a GIF image. Then you need to Click on link Download this GIF. And, there will be some more options as well. The Make A GIF is another tool that can be used for making some cool GIF of your ordinary images. It is the tool that gives you almost all possible methods to convert any media file into a GIF. You can upload a video from YouTube, Upload Photos from your computer, make short clip using your webcam, upload any video and you can upload any GIF image by itself to polish it up. That means if you have any media file the Make A GIF will help you to convert that into an awesome GIF. 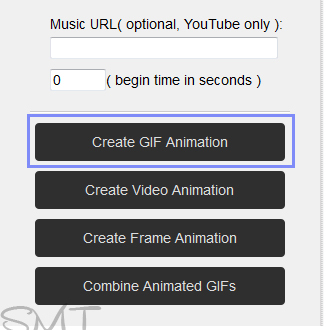 First of all, go to Make A GIF site by Clicking Here and Click on your preferred method whose GIF you want to create. Then you’ll have the complete on-screen instructions with your preferred method. The GIF Remixer is an iPhone app that let you create your GIF image. It also let you add sound and music to your GIF, you can add sound from their directory or record your own. It is not much difficult to create your GIF using this app, it is simply a pick-and-drop job and you need to place the right image in right order. If you want to grab this app, then you can grab it using this Link. The GIF Brewery is the last way that I have got for you and you may use for creating a GIF image. This is an app for Mac OS X. It let you create awesome GIF from different video clips. Don’t worry, it is not as complex as Photoshop, it is specially designed for GIF creation, the instructions are given with the app and it can be easily handled by any newbie. If you want to grab this tool for your Mac OS X then you may use this Link. Along with above ways, I am adding some of the complimentary tools here for you guys; you may also use these tools for creating your GIF images and you don’t need to worry about the complexity of these tools as they are easy to handle. GIF Animator ( for Windows ). GIMP (for Windows & Mac). Have you Created your GIF Image? I am sure you must have. So, guys, these were some simple ways to create GIF image. I am sure now you can easily create your own GIF. If you have any questions or confusions related to this article, then lend your queries in the comment box. I shall get back to your queries and will resolve them. How was it? If it was interesting, then don’t forget to support us by your shares and likes. You may never know that your share may help any of your friend out there, who is searching for the same article. So, keep sharing and keep improving. Mansoor has written 12 articles. Next post: Best Chrome Addons to Create GIF Image Previous post: 11 Clever Facebook Tricks That Will Blow Your Mind!